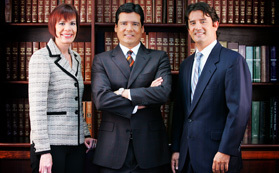 The Firm represents clients in all aspects of general civil litigation in state and federal courts, as well as administrative agencies and arbitration proceedings. Born in San Juan, Puerto Rico, February 5, 1968; admitted to bar, 1994, Puerto Rico; 1995, U.S. District Court, District of Puerto Rico and U.S. Court of Appeals, First Circuit. Born in Fajardo, Puerto Rico, June 7, 1970; admitted to bar, 1996, Puerto Rico, U.S. Court of Appeals, First Circuit and U.S. District Court, District of Puerto Rico. Ms. Colón has been a speaker on National Business Institute, Fundamentals on Employment Discrimination Law Seminars and on the Council on Education in Management Puerto Rico Employment Law Update Seminars. Born in San Juan, Puerto Rico, January 16, 1984; admitted to bar, 2010, Puerto Rico; U.S. District Court, District of Puerto Rico, 2012; U.S. Court of Appeals, First Circuit, 2015. Born in San Juan, Puerto Rico, February 21, 1981; admitted to bar, 2007, Puerto Rico; U.S. District Court for the District of Puerto Rico, U.S. Court of Appeals for the First Circuit. Born in San Juan, Puerto Rico, June 25, 1979; admitted to bar, 2005, Puerto Rico, U.S. District Court for the District of Puerto Rico; U.S. Court of Appeals for the First Circuit. Born in San Juan, Puerto Rico, August 18, 1989; admitted to bar, 2015, Puerto Rico; U.S. District Court for the District of Puerto Rico, 2015. Born in San Juan, Puerto Rico, June 11, 1985; admitted to bar 2015, Puerto Rico; U.S. District Court of the District of Puerto Rico, 2016. Born in San Juan, Puerto Rico, July 26, 1984; admitted to Commonwealth of Puerto Rico; U.S. District Court for the District of Puerto Rico. Born in San Juan, Puerto Rico, September 18, 1987; admitted to Commonwealth of Puerto Rico and U.S. District Court for the District of Puerto Rico. Born in Aibonito, Puerto Rico, September 16, 1986; admitted to bar, 2013, Puerto Rico; U.S. District Court, District of Puerto Rico (2013). Born in San Juan, Puerto Rico, September 19, 1989; admitted to bar 2016, Puerto Rico; U.S. District Court for the District of Puerto Rico. Admitted to the Florida Bar, 2018. Born in San Juan, Puerto Rico, September 2, 1993. Born in San Juan, Puerto Rico, August 20, 1993. Born in San Juan, Puerto Rico, October 25, 1967; admitted to bar, 1993, Puerto Rico, and U.S. Court of Appeals, First Circuit, 1994, U.S. District Court, District of Puerto Rico, and 2016, District of Columbia; former Attorney General (2000), and Deputy Attorney General (1997-1999) of the Commonwealth of Puerto Rico.